Discontinued by Aladdin. SOLD OUT. Replaced by Maxbrite #10000520 Universal Fit flame spreader. The Aladdin Lamp Flame Spreader is also referred to as "generator" in older Aladdin Lamp literature. 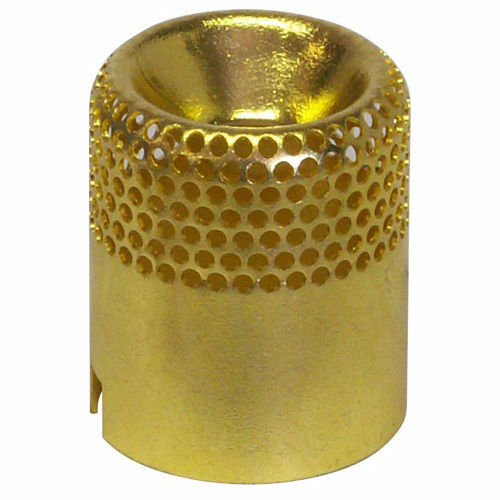 This thimble-shaped piece goes in the center of the unique Aladdin Lamp burner, surrounded by the round Aladdin wick. The solid brass flame spreader fits Aladdin Lamps Models 12, A, B, C, 21, 21C, 23, 23A. 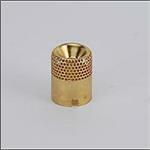 If you are looking for a flame spreader (generator) for Aladdin Lamps Models 1-11, please contact us. We just might have a used or antique stock available for you!